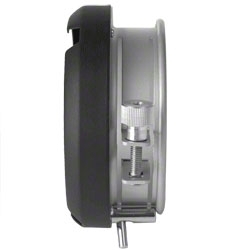 Finally you can use your Background Reflector on a flash device without bayonet and save money! 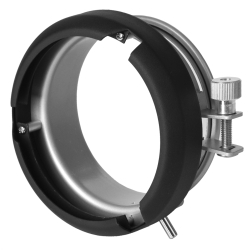 Because the convenient set from walimex contains a Background Reflector as well as the suitable S-Bayonet Adapter for your flash device. 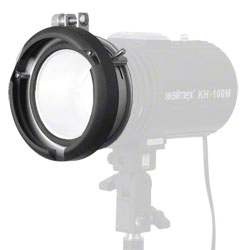 The walimex Background Reflector is particularly suitable for passport and portrait photography. The clamping fixtures enable the application of colour filter foils for the colourisation of backgrounds. 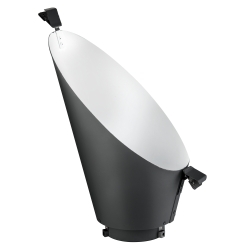 The white colouring on the inside of the reflector creates an even, soft background light. The truncated shape of the background reflector enables an even illumination of the background and protects your motif from annoying light reflections.